Include your fans in your social media marketing by letting them create content for your brands. Social media content today is a lot about story telling, and today those stories need to be authentic and ones that add value to the consumer. According to a study done by Nielsen, “92% of consumers trust online content from friends & family above all other forms of brand messaging. And they trust strangers second most — far more than they trust content from brands. Social media content generated by your fans – your community – is a great way to add that spark of authenticity and creativity and enables marketers to tell brand related stories without having to work hard at creating them. Let your brand be the platform that your fans use to get recognized and be creative. Focus the spotlight on your fans and you'll get a whole load of user generated content. Use a clever and catchy hashtag to curate all the content – which will give you instant access to what your fans and followers are uploading. Check out this amazing #wanderlust campaign by National Geographic. 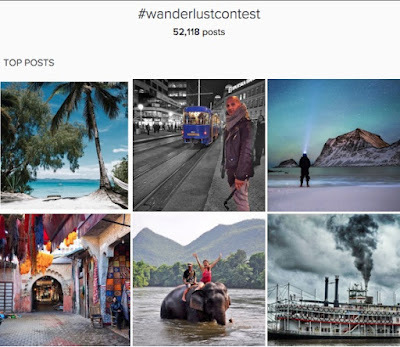 It asked users to simply tag their photos of beautiful places and people with a @wanderlust hashtag – creating a much loved opportunity for fans to highlight their photography skills under a famous brand banner – National Geographic. The brand had access to a huge collection of content that they could use in their social media. Be the brand that brings out the creative side of your fans and followers. Encourage them to think outside the proverbial box and come up with interesting ways to showcase your products and how they use them. All of the social platforms like Facebook, Twitter, Instagram, Pinterest and Snapchat offer your fans great opportunities to show their creative sides with photos, videos, tweets or simple posts. The key is to get your fans to get involved with your products and your brand and give them the freedom to be creative. Unboxings are a great way to encourage fans to create user generated content around your product. 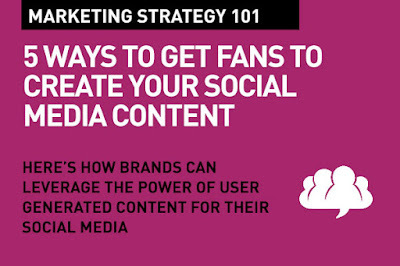 Fans like to have a voice – specially when it comes to brands and products on social media. Ask your fans and your community for their opinion. Let them tell you about their preferences, ways they use your products, cool features (that may be even you didn't know about), hacks, unboxings, new product ideas, flavors, colors etc. Run polls across your various platforms. People look to social media for recommendations, reviews and feedback from “real” people – make these authentic conversations work for your brand. A lot of brands try to get user generated content by running contests and some are hugely successful. But they key to running contests is a prize they'll value, and more importantly, removing or lowering barriers to entering. Make it easy. Keep it simple. Allow text only submissions. Don't insist on high quality videos in HD. Open up the contest across multiple platforms whenever possible. You can use a catchy #hashtag to bring all the entries together (see Point #1). Contests should motivate and encourage your fans and followers and inspire them to be creative and innovative. Without too much effort. For example, one research finding shows that "contests which allowed for text-only submissions (in addition to photos and video) saw a 900% lift in submission volume." Here's an interesting post from Hootsuite on some of the best UGC contests. Offer multiple ways to upload content across multiple platforms. Don't just insist on submissions that are limited to smartphone uploads (like Snapchat). Open up across various platforms and ask for content. But remember, in today's mobile driven world, you absolutely must engage and make your submissions possible using mobile. User generated content (UGC) comes in various forms, formats, and sizes. Be open to harnessing a 140 character tweet or a long form blog post, a 10 second 'snap' or a 3 minute YouTube unboxing. Remember they're all products of brand love. UGC or User Generated Content can help your social media in unprecedented ways. Remember to make it easy for your fans to engage with your brand and product and it will flow in. Useful post on how to get UGC for social media marketing. Like the point on removing barriers. This is where brands often fail.